Our proposal for the “Under (De)Construction” project at the KreativQuartier site takes a wider form than that usually used for the Q+A Panels, comprising a topic presentation followed by discussion. Instead, this Panel will be held as a workshop where the location’s areas of potential and deficits and the hopes of community inhabitants both at and for the location are addressed in concrete terms. 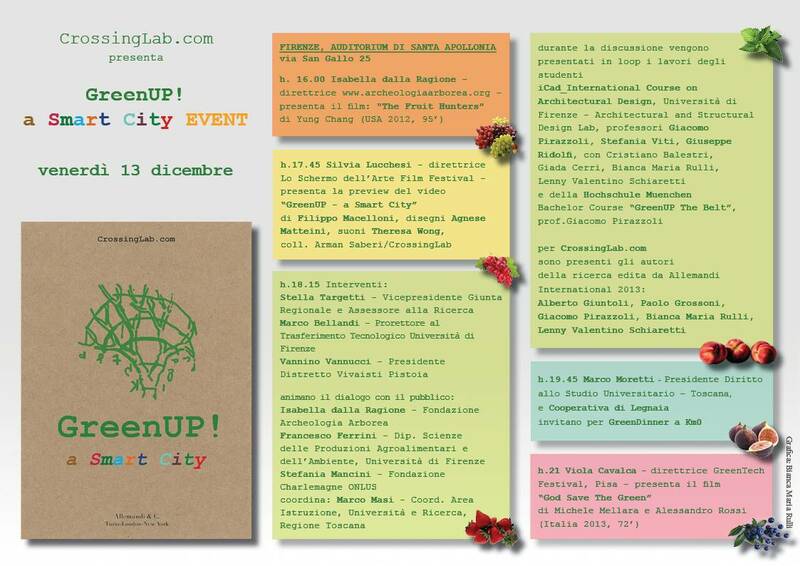 Giacomo Pirazzoli from the University of Florence and his team, Bianca Maria Rulli and Lenny Schiaretti, will work with us and our guests to develop proposals for a green infrastructure in the KreativQuartier, including urban crops. GreenUP! a Smart City @TEDxHamburg "Urban Connectors"
At TEDxHamburg „Urban Connectors“ we want to highlight connectors that act as the driving forces, whether they come in the form of tangible objects, inspirational ideas or innovative inventions. We have invited the people behind these connecting forces and will provide a platform to share innovative ideas and connect with other likeminded connectors that are shaping our urban society - and beyond.